Tour-Pros and recreational players alike work with Joey D Golf to optimize their bodies for golf and play their best. Join us today and let’s get to work! Offering private training in our Jupiter facility or via internet around the world, you can work with a phenomenal team of professional coaches. Our training programs are based on Tour-proven methods developed over decades. You’ll work with the same precision and efficiency as the Pros do. Improving your body’s ability to generate power from the ground up will add distance and consistency while helping prevent injury. 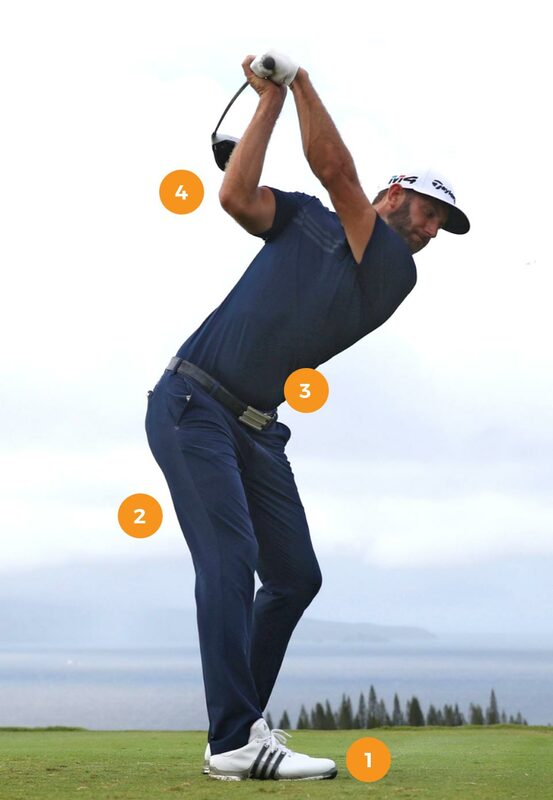 Improving awareness of balance and the ability to maintain it throughout the golf swing is fundamental to keep a solid connection to the ground. When you think stability, think control. By improving golf-specific functional strength, the body has more control during the golf swing. Learning to load, or store, maximum energy then sequentially release it through impact with maximum efficiency means maximum power. Velocity is defined as the rate of speed in a specific direction. Distance is directly proportional to the velocity of the club head through impact. Call or email our team anytime. We’re happy to answer your questions and help you find the best solution to reach your playing goals. Why Is Fitness Important for Golfers? Golf-specific fitness training optimizes your body for golf. No matter your age or skill level, that means more mobility, consistency, and distance out on the golf course. Additionally, and more importantly, it can help prevent injury. Why Is Joey D Golf Different? Coach Joey D and Coach K-Wayne Tullier lead our team of elite professional coaches in their work with Tour players and recreational amateurs alike. We provide a one-of-a-kind experience for players at all levels to achieve their most consistent game out on the course. For most players, golf fitness training sessions are typically recommended 3-5 times per week. Together with some practice time at the range and on the course, golfers start to feel game improvement in 2-3 weeks. That depends on where you live and how you like to learn. Grab one of “Coach Joey D’s” free ebooks to help set some context. Then choose from our books, videos or individual private coaching and get to work!